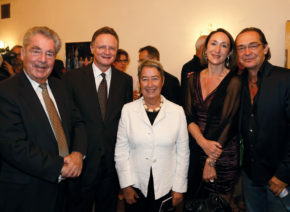 On 25 October 2012, Claus Peymann was awarded honorary membership and the ring of honour of the Viennese Burgtheater by Federal Minister Dr Claudia Schmied and Dr Georg Springer (Director-General of the Bundestheater). 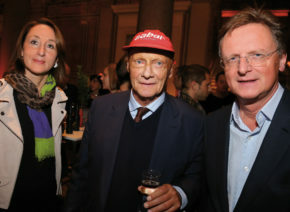 Claus Peymann was director of the Viennese Burgtheater from 1986 to 1999, and since 1999 has been director of the Berliner Ensemble. 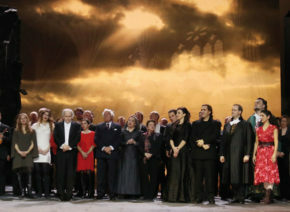 According to the theatrical press, he ranks among the world’s top theatre directors. 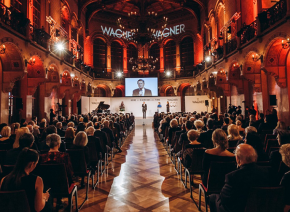 The ring of honour of the Viennese Burgtheater was developed by Juwelier Wagner in close collaboration with the Viennese Burgtheater in the studios of Juwelier Wagner. In 18-carat white gold with a central carnelian, it is made individually for each honorary member and given a personal engraving.